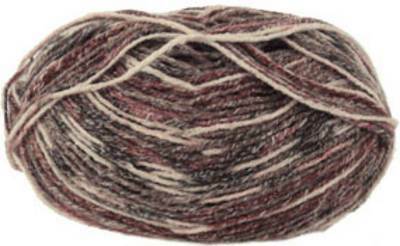 Sirdar Crofter DK knitting yarn 53, creates a 'fair-isle' effect as you knit. It's a supersoft, lightweight and machine washable blend of 60% acrylic, 25% cotton and 15% wool. Knits to a standard DK tension of 22st/ 28 rows to 10cm on 4mm needles. 170m per 50g.